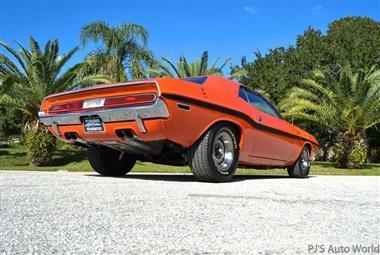 1970 Dodge Challenger R/T Tribute for Sale. High quality Rotisserie Restoration. Professionally built 440 cubic inch V8 engine, Holley 770 Street Avenger 4 barrel carburetor, Mopar aluminum intake, dual exhaust, 727 automatic transmission, A/C with updated compress and R134A refrigerant, Rallye Wheels with BF Goodrich Radial T/A tires, front power disc brakes, power steering, stainless steel fuel and brake lines, factory Hemi Orange car, Rallye stripe package, chrome driver sport mirror, black bucket seat interior, center console , floor shifter with Pistol Grip Shifter handle, tachometer Rallye dash, AM/FM radio, restoration book with detailed photos. 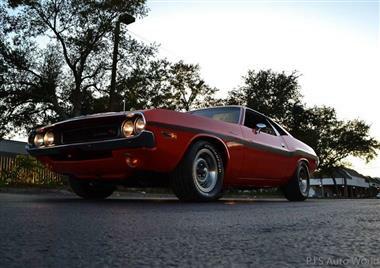 If you want a Mopar that�s ready to pull up to shows, here it is! Highly detailed from top to bottom including a painted undercarriage that will leave others jealous! Automotive History: The Challenger was described in a book about 1960s American cars as Dodges answer to the Mustang and Camaro. 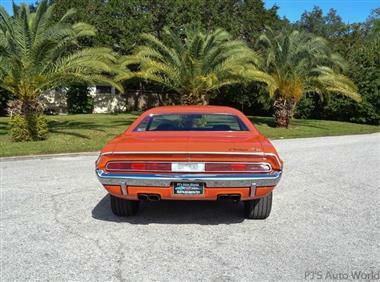 Introduced in fall 1969 for the 1970 model year, it was one of two Chrysler E-body cars, the other being the slightly smaller Plymouth Barracuda. 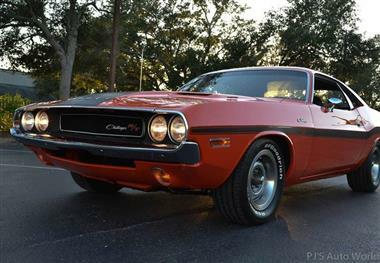 Both the Challenger and Barracuda were available in a staggering number of trim and option levels and were intended to compete against cars like the Chevrolet Camaro and Ford Mustang, and to do it while offering virtually every engine in Chryslers inventory.� However, the 1970 Challenger was a rather late response to the ponycar wave the Ford Mustang had started with its introduction in April 1964. 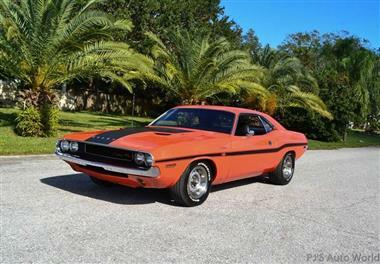 In his book Hemi Muscle Cars, Robert Genat wrote that the Challenger was conceived in the late 1960s as Dodges equivalent of the Plymouth Barracuda, and that the Barracuda was designed to compete against the Mustang. 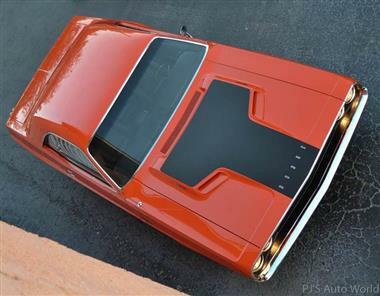 The 1964 Barracuda was actually the first car in this sporty car segment by a few weeks, but was quickly overshadowed by the release of the segment-defining Mustang (the segment being referred to as Pony Car). 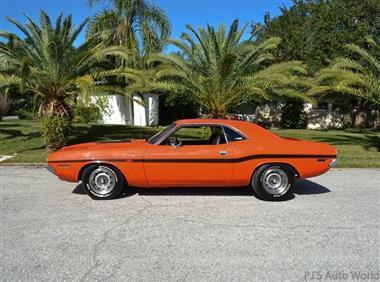 He added that Chrysler intended the new 1970 Dodge as the most potent ponycar ever, and positioned it to compete against the Mercury Cougar and Pontiac Firebird. 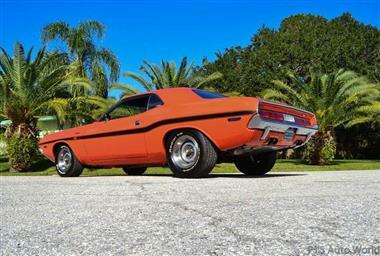 Genat also noted that the Barracuda was intended to compete in the marketplace with the Mustang and Camaro/Firebird, while the Dodge was to be positioned against the Cougar and other more luxury-type Muscle Cars.